THIS PLACE IS MY KIDS MARKET NSW! At the Market families can upcycle gently used pre loved baby and kids items their kids no longer need. You can declutter your home and earn some extra cash by selling your quality baby and kids goods instead of adding them to landfill. Once your kids have outgrown clothing, toys, books, shoes, prams, bikes, cots, highchairs and other nursery items it makes perfect sense to pass these treasured goods onto other families who can get many more years of use out of them. It’s a great way to reuse and recycle kids goods! My Kids Market NSW attracts a large crowd of parents and expecting parents who are looking for quality baby and kids goods without breaking the budget. Hosting a stall is much simpler than organising a garage sale or taking photos to advertise online then wait for prospective customers to pick up items. We bring the shoppers to you all on one day! To find out more about hosting a stall, visit the Selling at the Markets section and book a stall online. My Kids Market NSW is the original and largest market in NSW for families to source excellent quality pre loved kids and baby items by popular brands with huge savings. The market is filled with stallholders selling their family’s gently used baby and kids goods that their kids have outgrown. Set up your nursery for a fraction of the cost of buying retail! Everything you need for boys and girls is at My Kids Market NSW including baby and kids clothing, shoes, toys, books, prams, bikes, cots, highchairs, rockers and other nursery items. You’ll find your favourite brands such as Country Road, Seed, Witchery Kids, Esprit, Cotton on Kids, Fisher Prices, Little Tikes, Bugaboo, Safe ‘n’ Sound, Boori, Mountain Buggy and more! My Kids Market NSW is also the perfect place for grandparents to shop as you will find all the essential baby and kids items for your place without breaking the budget. 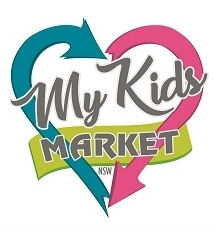 My Kids Market NSW runs throughout the year in Lane Cove, Five Dock, Kellyville, Sutherland, Hornsby, Liverpool, Newcastle, Penrith and Terrigal on the Central Coast. Each Market also offers fun activities for the kids which makes it the perfect event for the whole family! For the full list of Market dates and locations click here.